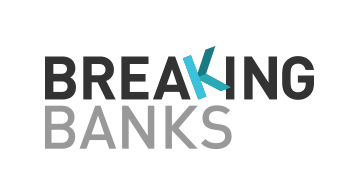 Breaking Banks is the first and #1 global Fintech podcast. Since our start in May 2013, we have been documenting the technological changes to our financial lives- or some might say- telling the story of the Fintech revolution. The banking industry is experiencing massive upheavals as a result of loss of trust, rapid consumer behavior shifts, full scale technological change and increasing government scrutiny. A bank was once a local enterprise, then it became a global affair open only to those that could reach local physical branches. But new technologies have changed the nature of community, investment, and have given a new rise to transparency. The ways we think about money are changing forever. And Breaking Banks is telling those stories one company, one community, one innovation, and one guest at a time. Breaking Banks is produced by Provoke.fm and is available wherever you listen to your podcasts. We broadcast live every Thursday at 3pm EST from NYC on VoiceAmerican Business Channel, 1160 WVNJ radio and we are available in iTunes, Stitcher, Soudncloud, and wherever you listen to your podcasts!